Studies show that children exposed to music at a young age has higher I.Q. than those who weren't. 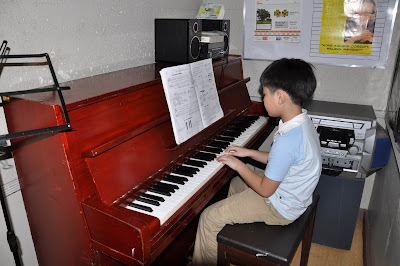 It has always been my fervent wish to have a performer child, a singer, a pianist, or a guitarist. But of course, you have to check your child, if he or she shows interest in any of these I have mentioned. 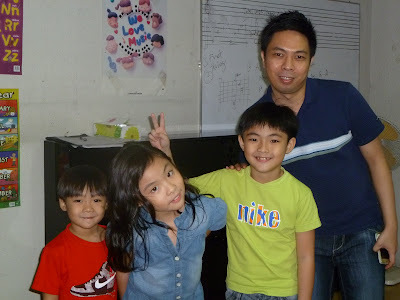 When Julia and Rafael were 4 years old, they were already telling me to enrol them in a music school. 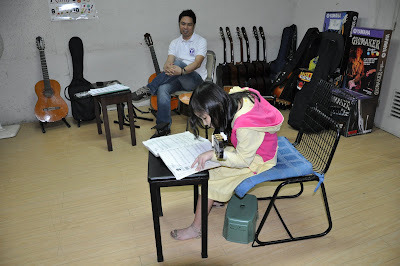 But most of the music schools' we inquired to requires that the child is 7 years old, or at least can read already. February 14 is such a special day for us, not only because it's Valentine's Day but because this is Yamaha's One Day Grand Sale. 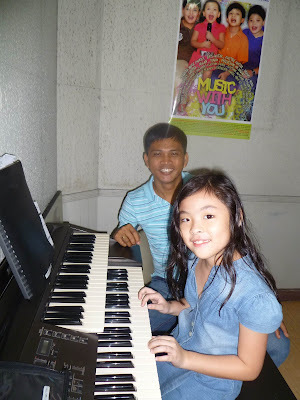 Last year we were able to enroll Julia and Rafael on a 48 session Piano, Guitar and Voice lessons each. We saved a lot on this promo. Sharing this to parents who wish to enrol their kids in music school, or for moms and dads who wish to fulfill a childhood dream of learning how to play the guitar (just like me). Strictly one day promo for Buy1 Take1, only on Feb. 14, 2011. For full mechanics on YAMAHA Buy One Take One Promo, you may contact: 899-9595 / 0927-7977082.
wow! when i was young i'm also a music enthusiast pero frustrated singer/pianist/guitarist ako. haha. nag excel din nman ako sa ibang talent. 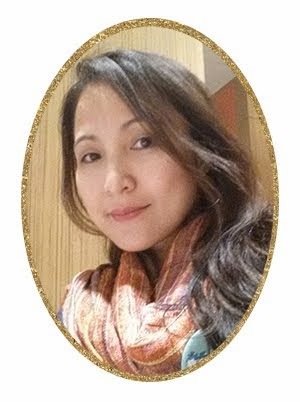 Now, that i'm a mother it seems that my daughter also wants to be a singer... thanks olga joson-espino for sharing the link of this blog. thank you. COMIC or NOVEL Book Enthusiast?